Virgin olive oil is good for health for many reasons. Incorporating virgin olive oil into your diet protects you from developing heart disease when used to replace butter or lard. It is high in antioxidants that fight the damage that can occur to your heart and is free of both saturated and trans fats. Virgin olive oil can decrease your risk of health conditions like high cholesterol, heart attacks and high blood pressure that are associated with the use of other oils and fats. Substitute virgin olive oil for other cooking fats. Use it to saute, marinate and roast food in place of butter, lard or other types of oil. Remember, though, that olive oil still contains fat and calories, so keep your intake to one portion to control your intake. What Type of Diet to Get Rid of Bad Cholesterol? 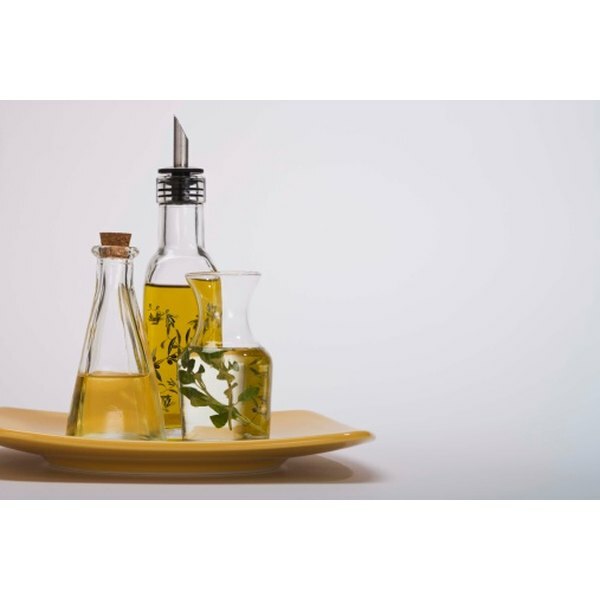 What Are the Benefits of Red Wine Vinegar & Oil Dressing Salad? What Is a Good Healthy Diet?